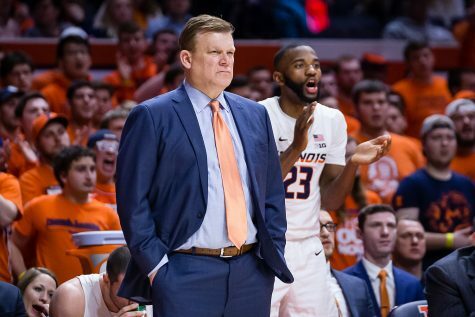 Head coach Brad Underwood and other assistant coaches wear sneakers with their formal attire to promote cancer research and awareness on Jan. 23. The Coaches vs. Cancer 3-Point Challenge was created by the American Cancer Society and the National Association of Basketball Coaches. 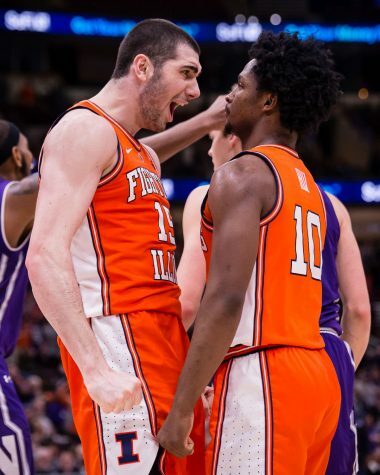 Cancer is a disease that has affected millions around the globe, and the Illinois men’s basketball team is doing its part to help find a cure. The program announced on Tuesday it would take part in the American Cancer Society’s 2019 Coaches vs. Cancer 3-Point Challenge. 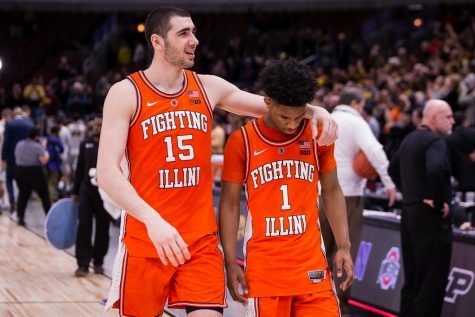 Coaches, players and fans can pledge to donate money for every 3-point shot made by the Illini between Feb. 1 and March 10. Coaches vs. Cancer is an initiative the American Cancer Society and the National Association of Basketball Coaches created. The program’s goal is to increase cancer awareness and advocate healthy living through year-round fundraising programs. 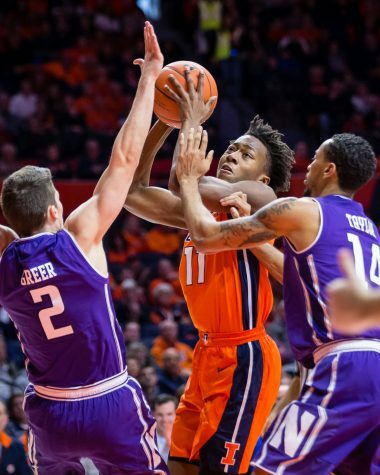 In Illinois’ first game during the challenge, Saturday’s 71-64 win against Nebraska, the Illini went 8-20 from behind the line, as Trent Frazier led the way with three made long balls. 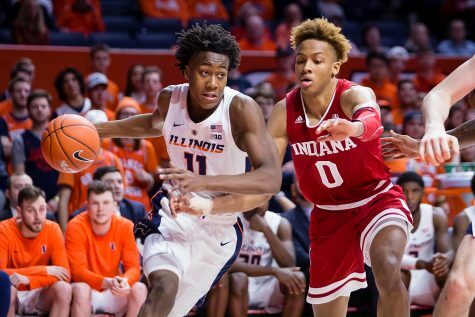 In the second game of the challenge, Illinois drained nine long balls as a team, including four from Ayo Dosunmu, in a 79-74 upset of No. 9 Michigan State. 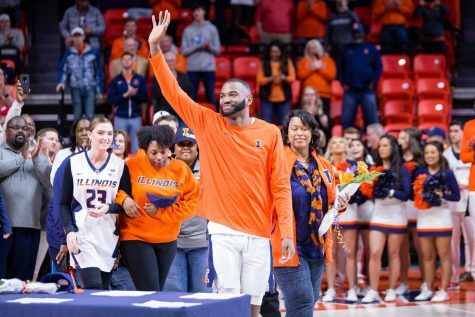 During the challenge, the Illini have multiple candidates who could greatly influence the amount of money donated. Frazier leads the team in both percentage and overall makes, shooting .403 with 58 total threes, followed closely by Aaron Jordan. The senior from Plainfield is shooting .390 with 41 successful attempts from behind the arc. 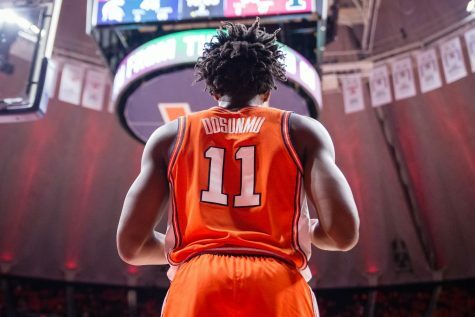 Dosunmu has been the Illini’s third-most reliable 3-point shooter, as the freshman is shooting .365 from deep with 35 made threes. 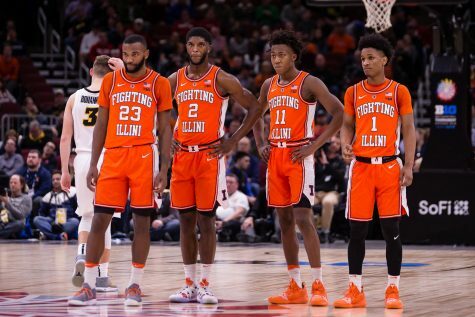 While a suspension has held Tevian Jones from making a comparable amount of threes to the other Illinois guards, the freshman is shooting .310 from three this season. Other candidates to help the cause include sophomore guard Da’Monte Williams and freshman wing Alan Griffin, who both shoot over .300 on three-point attempts. The 3-point challenge is not the first instance in which the program has done its part in aiding the hunt for a cure. 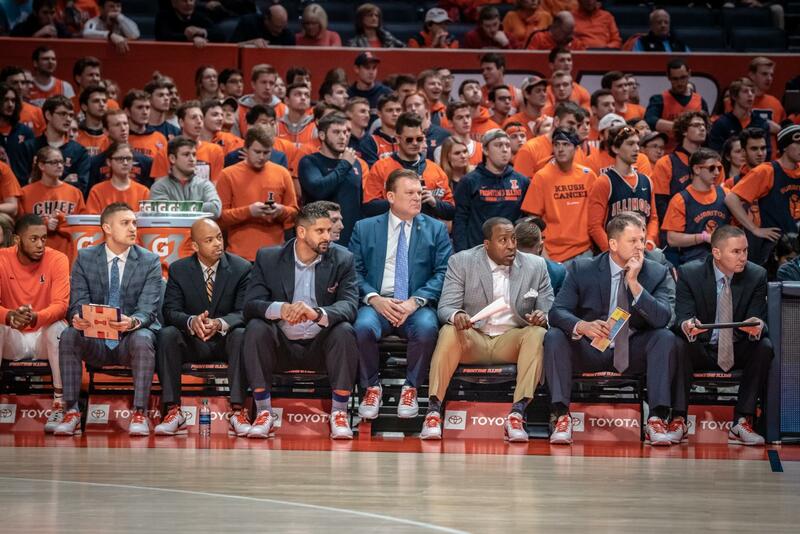 In the Jan. 23 home meeting with Wisconsin, the entire coaching staff wore Nike sneakers with their suits, joining numerous college basketball coaches around the country in wearing sneakers to support Coaches vs. Cancer. Shirts with the slogan “Krush Cancer” were also given out to fans attending the Wisconsin game. The staff continued to don sneakers against Maryland away from home in the following game on Jan. 26. 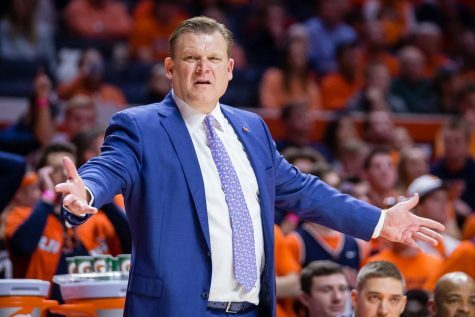 The fight does not end with the shooting challenge for the program either, as head coach Brad Underwood announced prior to the Wisconsin game he would be a holding a dinner banquet after the season to raise donations for the American Cancer Society. 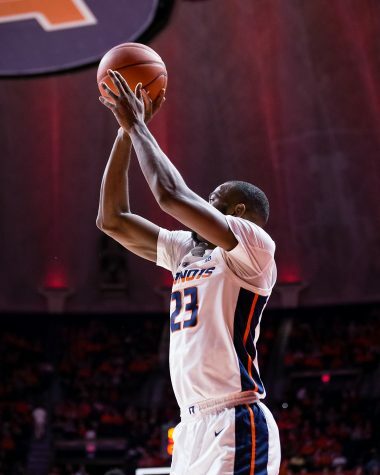 Underwood is certainly known for his up-tempo offense which creates lots of open shots, which will undoubtedly offer many opportunities for the Illini to raise funds to help find a cure.